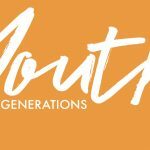 Generations Youth is a dynamic ministry for students in 6th-12th grade. We meet every Wednesday night at Generations Church. Doors open at 6:30pm, and service is from 7-8:30pm. Students experience an engaging live band, hear messages that discuss relevant topics, and interact with other students and adults who truly care about their lives.